My name is Maria Cartwright of 222 Creations. I’m originally from New Hope, Pennsylvania and have lived in Sewell, New Jersey for about 29 years with my husband and three children. About five years ago, I was inspired to learn how to enamel copper, so I bought a book and did some research, bought a torch, enamels, and copper…and fell in love! 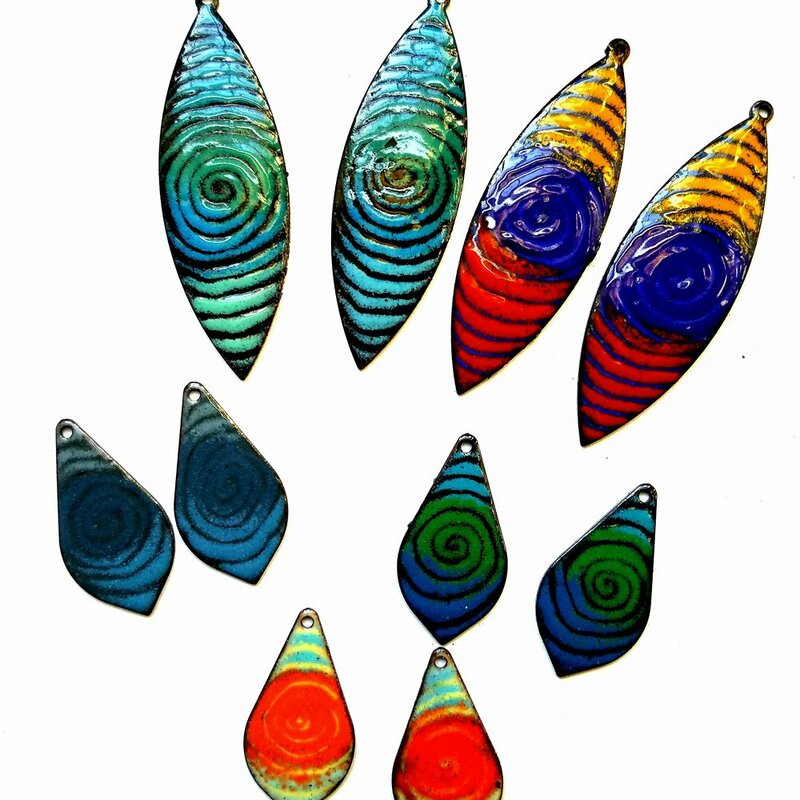 I love drawing designs into the enamel, and layering colors. My jewelry reflects my love and inspiration of color, pattern, and nature. While doing a lot of experimenting with fire and copper, I picked up another technique along the way (so much to learn!!!!) and I call it Flame Painted Copper – which is painting patterns onto copper with just a flame. As the copper heats and cools, it turns different colors – it’s AMAZING! I sell my creations mostly at arts and crafts shows throughout New Jersey and Pennsylvania, and locally at The Station in Merchantville, New Jersey; Main Street Art in Maple Shade, New Jersey; Creek Mercantile in Rancocas Woods, New Jersey; Yoga Inspired in Pitman, New Jersey; Community Arts Center in Swarthmore, Pennsylvania; and Artisans Gallery in Mechanicsburg, Pennsylvania. I’m grateful to be able to share my creations with you!